The Summer North American Stata Users Group (SNASUG) meeting will be held July 24–25, 2008, at the University of Chicago Graduate School of Business Gleacher Center. 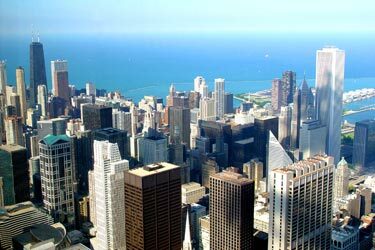 This will be the first Stata users’ meeting held in Chicago; previous North American meetings have been held in Boston and Los Angeles. The Gleacher Center is located downtown on the bank of the Chicago River, just steps from Michigan Avenue and within walking distance from most downtown attractions. Stata Users Group meetings are enjoyable and rewarding for Stata users at all levels and from all disciplines. As always, this year’s program will consist primarily of user presentations together with a couple of longer talks by invited presenters. In addition, the program will include the ever-popular “Wishes and Grumbles” session in which users have an opportunity to share their comments and suggestions directly with developers from StataCorp, and the “Report to Users” session with StataCorp president William Gould. Click here to register. Registration deadline is July 17, 2008. A block of rooms has been reserved for StataCorp at the Inn of Chicago for July 23–26, 2008. The discounted group rate is $170.00 per night. Tax is an additional 15.4%. If you would like to reserve a room from this block at this rate, please call 800-782-8272 or email Gretchen Farrar (gfarrar@stata.com) at StataCorp. The deadline for reserving a room is June 19, 2008. If you have any special needs (vegetarian, handicapped, etc. ), please contact Chris Farrar (cfarrar@stata.com) or Gretchen Farrar (gfarrar@stata.com).